Something Sublime Ornament Blog Hop Party 2015! Welcome to my Christmas Ornament blog hop party! Create something amazing! Make your very best, most creative, handmade Christmas ornament to share with us. December 15th is the day the party starts...that's today! Post your beautiful ornament to your blog, then link your blog post, right here, on my party post, using the InLinkz linking tool (see below). Doing this allows you to become part of the blog hop and allows our party people to see your gorgeous work. Make sure you create your blog post, then enter your link here before the end of the party, on Dec. 22nd. I'll be doing giveaways, for participants, on or about the 22nd. 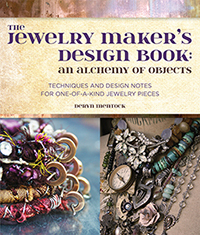 I've got Something Sublime t-shirts...The Jewelry Makers Design Book...and spot in my next online class! You must do a blog post featuring your ornament-if you'd like to do a how-to video or tutorial...great! Add your link to this blog post, using the InLinkz tool, below. Scroll down to see where to link up. There's a little blue button, on the left, that says "add your link". Click it and add the link to your blog post. Then add your name and choose a photo. It's super easy! Notify your followers via facebook, twitter, pinterest and instagram. Visit, and leave a comment to, at least two links before and after your own link. This is important! Follow me on my social media accounts. (I'm not making this mandatory but I'd sure love you to do this! xxoo) You can find links to them in my right sidebar. Save this banner image and use it on your own blog post, during the party, to show that you're partying here.
. These were such fun to make. Each tiny diorama is a winter wonderland! I was decorating my "art tree" today. This is a tall, skinny tree that is positively loaded with handmade ornaments from all of my artsy friends, over the years. Each one means so much to me. As I was hanging them, I was feeling very touched by my friend Joanna Pierotti's amazing ornaments. Joanna was a part of my swaps for quite a few years. So...I wanted to add something a little bit special, to the party. I know a lot of you knew Joanna so I'm going to post what she gifted me with. These are some of my favorite ornaments...so full of love, creative energy and imagination and I think you all will enjoy seeing them. For 2007, Jo created an amazing crazy quilt, art doll. Her head is hand sculpted and painted with Joanna's signature roses. I think it's set on a smashed tart tin. The detail is really exceptional. This ornament was one of my all time favorites. It's a book, of sorts, created from...wait for it...a leather wallet. Of all things! I just have to admire the creative thought that went into an idea like that. Inside is an embellished image of the Holy Family. It's a treat to open this up and explore every tiny detail. Another really inventive idea...a dress form. Dressed up, of course! You can't see it in this photo but the back is red velvet. The bodice is some sort of metal/metallic something-or-other with a cool texture. I think it's solder, actually. Again, the detail is spot on. I can safely say that this one is a favorite, as well. For 2010, Joanna created a beautiful ice queen. I adore this luminous little snow-woman. Joanna customized this gorgeous little soldered glass ornament with each participant's initial. Often, her wrapping was just as intriguing as her ornaments. That's some of her wrapping in the background of this photo. It's just so good...the image, the initial, the beveled glass. Perfection! This is such a meaningful little piece of artwork! 2012 was the last year that Jo played with the ornament swaps. I hope ya'll enjoyed this sentimental tour of Jo's ornaments. She was one of the most inspiring and talented artist's I've known. ...and...I'm not sure what I'll be teaching online for next year but my last prize is a free spot in my next online class. Yay! Now... don't forget to post your ornament and add your link to the party. Merry Christmas, friends! Join me for an extravaganza of Christmas ornaments! For the last dozen years, or so, I've been involved in some amazing ornaments swaps. I'm missing that this year so I thought, let's do a virtual sharing of handmade ornaments. This is going to be really, really fun so I hope you'll participate! December 15th is the day the party starts! On Dec. 15th, post your beautiful ornament to your blog.You'll link your blog post, on my party post, using the InLinkz linking tool. Doing this allows you to become part of the blog hop and allows our party people to see your gorgeous work. Make sure you do your post and enter your link before the end of the party, on Dec. 22nd. You must do a blog post featuring your ornament. If you'd like to do a how-to video or tutorial...great! Visit, and leave a comment to, at least two links before and after your own link.